The Classic 50 takes the smooth bluesy tones of the Peavey Classic series, and combines them with the raw, punchy power of EL84 an 12AX7 valves. From chicken picking through to 'Stones' rock and roll, this amp can deliver tone in spades to fill any venue. Considered by many to be some of the finest guitar amplifiers made, the Peavey Classic series traces its roots back to the very start of the Peavey Electronics organisation. 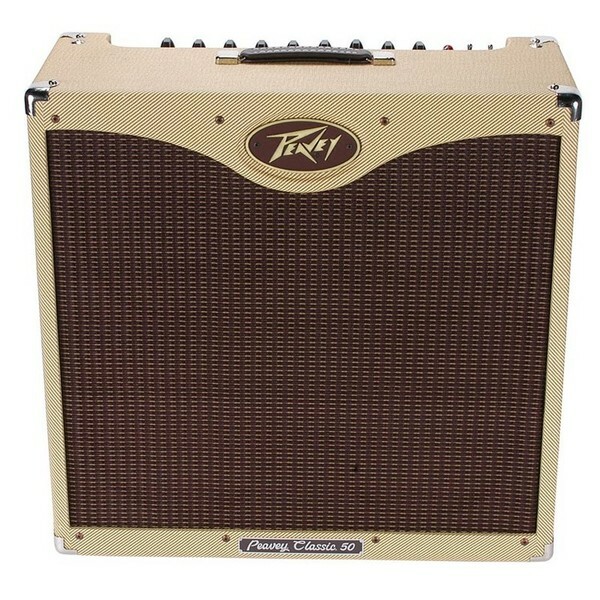 Inspired by a Bo Diddley concert in 1957, Hartley Peavey began producing guitar amplifiers that captured the rich, haunting tones of blues guitar. The authentic, soulful sound of these amps is matched perfectly by the timeless tweed styling that so many guitar players have come to love over the years.